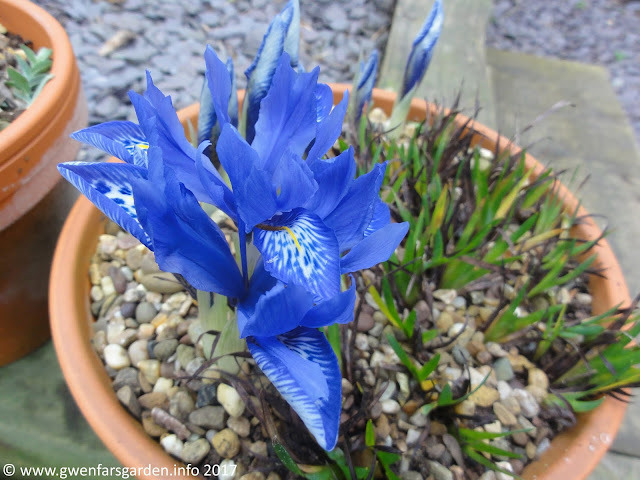 It's been a little quiet here when it comes to blogging about the garden recently. That's because changes are afoot and I've wanted to wait until things were confirmed before writing about them. Well, I can now tell you. Gwenfar's Garden is on the move. Yes, I'm moving garden, and well, house. Our current house has been a bit small for our purposes for a while (we have a small company which is run from home) and we need a bit more space. However, with selling and buying being so incredibly stressful and my ME being, well, not great, we decided to sell first, move into rented accommodation, then take our time looking for a bit bigger and hopefully more permanent home. And garden. For the year or so that we will be renting, my garden is going to mainly be a container garden. I'm taking everything that is currently in pots with me, plus about 15 or so special plants will be dug up, but on the whole, I'm leaving my current garden as it is. Because although I created this garden, I'm happy to leave it to the new people* and move on to new things. last summer, so I have some to take with me. 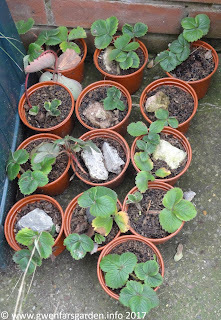 Perhaps if the new owners weren't interested in gardening, I might take more with me. But they are, and even made it a part of the contract that I leave the fruit trees and raised beds behind! This really lifted my spirits, to know that what I've created will continue on in some way, and that someone actually wants the garden as it is, fruit trees and all. So what comes with me? And what about my beloved garlic? On the garlic front, well once we decided to put the house on the market at the beginning of December, I quickly went out and purchased eight large rectangle containers and sowed six cloves of each variety in them. I mean, I wasn't going to leave my wonderful collection behind! 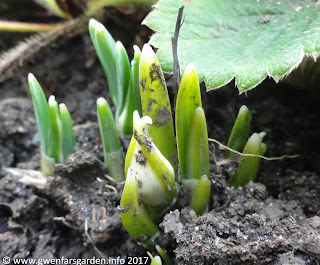 And after conducting an experiment on growing garlic in containers in 2016, I'm confident that I can take my collection with me, will get a decent harvest and be able to save the best bulbs to sow the following autumn. I'll leave notes including where each variety I sowed back in November in my raised beds for the new people, so they know what they will be harvesting next Summer. I'll also be digging up the Sorrel patch. It's got quite large now, so I should be able to split it so there is some for me and some for my friend J-P over at Next Square Metre. And with luck some left over to replant for the new people. Sorrel has deep roots and isn't necessarily made for container growing. So this is going to be the first of several small experiments I'll be undertaking in 2017. I've purchased a large terracotta pot for the Sorrel, and will track how it grows in a container and how much harvesting I can gain from it. In general, my theme for 2017 will be how to get better at growing both vegetables, fruit, herbs and also perennials, in containers. I've had middling success in the past, but my focus has tended to be on what's in the ground or at the allotment I used to have. My aim is to read up more on container growing, for edibles and ornamentals, and see if I can increase the health and production of the plants. In particular, I'd like to get the growing media, and the not-under watering or over watering balance, right. The grass in the pot is Deschampsia cespitosa 'Goldtau', which we call 'grass-Merlyn'. chew on. When he died, we potted it up and buried him with it. It's important to take grass-Merlyn with us. We will also be digging up Acer palmatum 'Sango-kaku', to the right of grass-Merlyn. So will I be sad to leave the garden I created behind? Yes, I will. But I'm also excited about the opportunities that the coming year will offer. I plan to explore my Spoonie Veg idea via container growing further, and to experiment with getting a better harvest from courgettes and pumpkins grown in containers. If I have the energy, I'd like to try growing Cosmos as a cut flower in a container too. All of this will continue to be within the context of gardening with ME. I'll be taking cuttings of Rosa Seagull, then cut it back so I can dismantle the Arch. Audrey. I'm not leaving that behind! 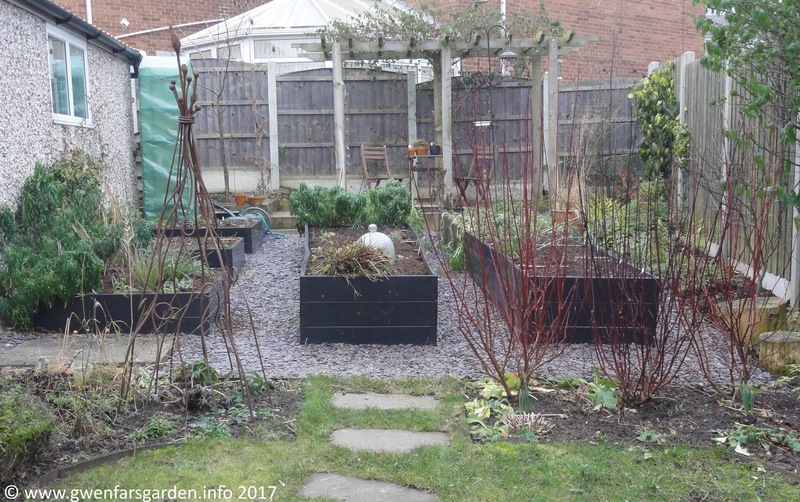 Gwenfar's Garden is on the move, but I will take some time to do a couple of blogs reviewing my first complete permaculture design, and to say goodbye to a space I made my own. *we accepted an offer at the end of December, subject to contract and of course the vagaries of the English system. What a surprise! I didn't see that coming. But onwards and upwards, as they say. It's great that your buyers look like keen gardeners and will take the garden onwards and upwards after you've left. Will you have to take a break from kitteh fostering? Enjoy your containering stint and good luck with finding your next garden (with house attached, no doubt). Cosmos, eh? We could both have a think about hardy annuals at some point. I'm inspired partly by http://growingnicely.co.uk/growing-hardy-annual-flowers-seed/ to maybe plant up our "meadow" with something interesting, for a year, while we give it a season to get more of an idea of exactly what we want to do with it. 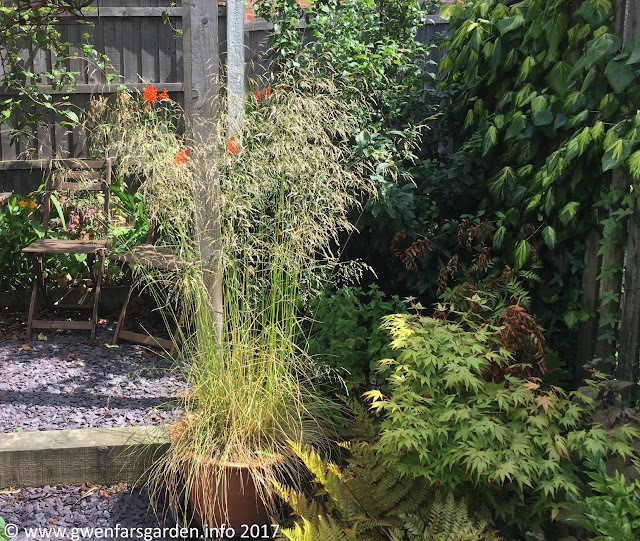 Best wishes, and good luck with your arch, and your Acer "Sango-kaku", and your Deschampsia cespitosa "Goldmiau grass-Merlyn". Hopefully we'll be in a fit state after leafleting to help out with at least some bits! For hardy annuals, I'm thinking Nigella to be in the mix. Yes, it self seeds, but it's easy to pull up the extra seedlings. 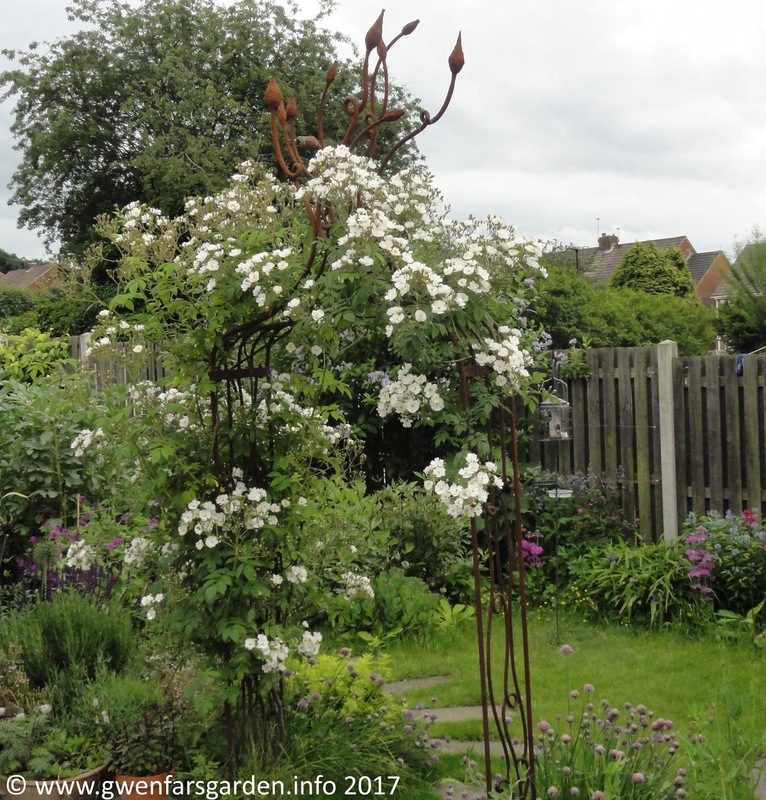 And with the flowers & seed heads being wonderful, they are double good! Big news! I think it's a wonderful idea, to do the selling and buying in two stages, much less fraught. We had struggles with both the flat sale and the house purchase when we moved in here, and it was far too stressful. We are hoping the 2 stages will be less fraught. The ME isn't good at the moment so I don't think I could cope with both. So far so good so fingers crossed. Yeh, from past moves I know that some won't survive, but as you say, I can then acquire new specimens - what a shame! Exciting news! We rented for three years (it was supposed to be six months) and I kept probably a hundred or so containers going with stuff that I'd saved from the previous garden, including some quite large trees. It's perfectly feasible but quite hard work in summer with all the watering. No more than what you're doing now though I would think. Good luck. Yes, the watering will be the hard part, though I'm hoping I won't have quite 100 containers. I hope...! Good luck with the move, I think you're very wise to do it in 2 stages. 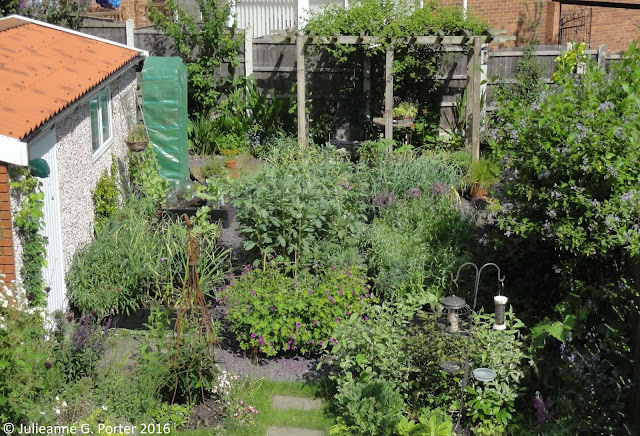 even though you are looking for a bigger house, will you be looking for a garden the same size? Exciting, and I'm sure the new owners will love that you've left them info on what's in the garden. Could it be the beginning of a new friendship? Regarding sorrel. My experience of transplanting long-established plants is that they're never quite the same, even if they survive, so if you love sorrel as much as I do it might be worth sowing some in a pot this year, so you have a transplantable plant when you find your new home.